Alex and Ani's bestselling Because I Love You range has been reimagined with larger, more deeply textured charms. The Because I Love You, Godmother bangle recognizes the inspiring and protective love between godparents and godchildren. Associated with affection and watchful, the violet embodies the perfect connection between godparents and godchildren. The perfect gift to show your godmother how much you appreciate her. 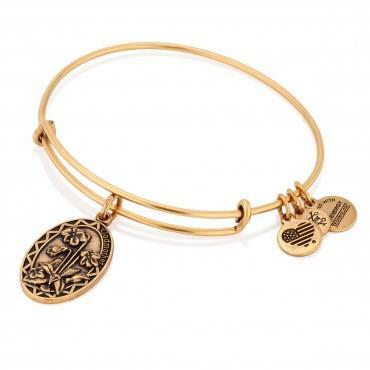 The charm sits on Alex and Ani's Expandable Wire Bangle and is also available in Rafaelian Rose Gold and Rafaelian Silver.